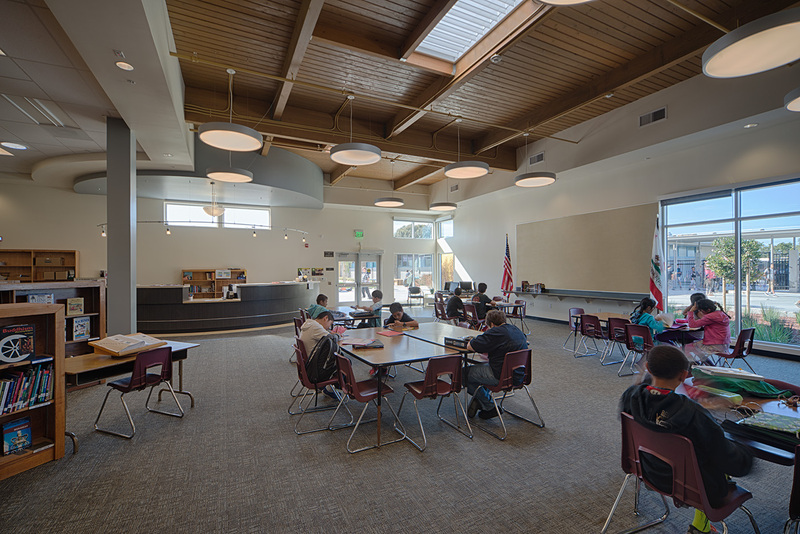 Like many campuses of its age, Ralston Middle School had experienced incremental growth, shifting the center of the campus and leaving the original main entry and administrative offices underutilized and irrelevant. 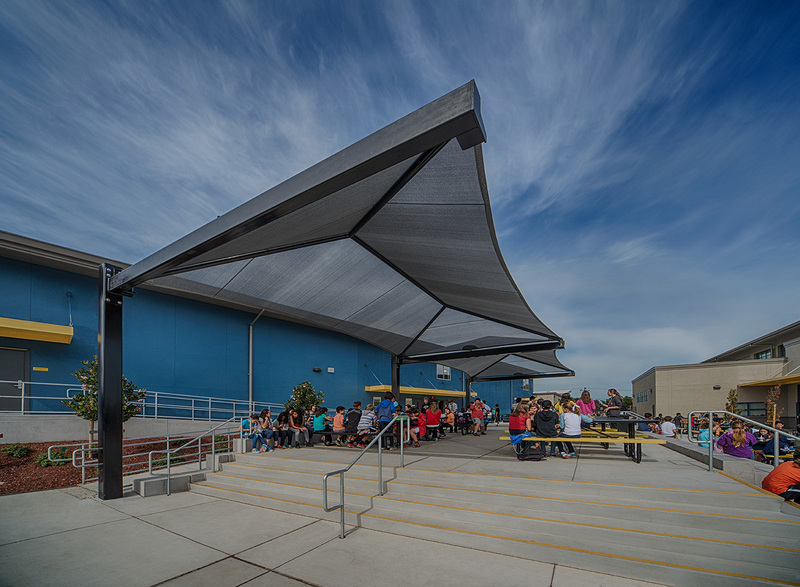 Outdoor spaces were bleak and significant campus growth had to be accommodated. 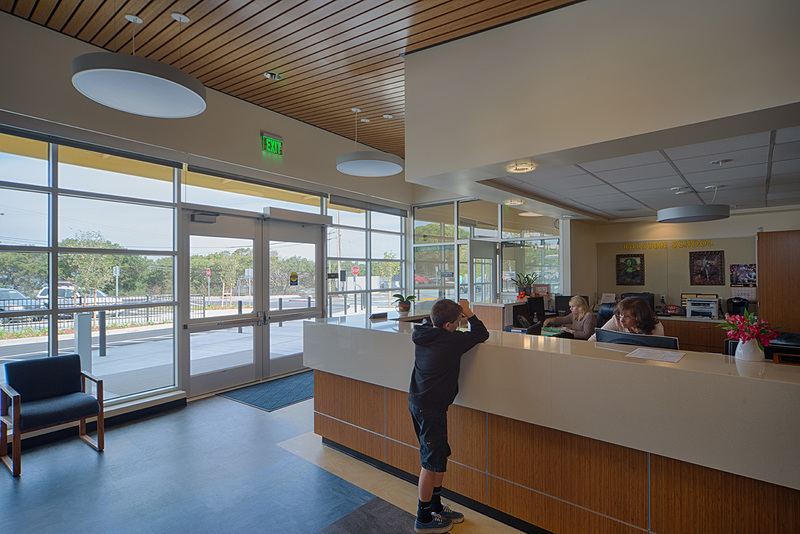 A 2010 general obligation bond allowed for a complete transformation of Ralston Middle School. 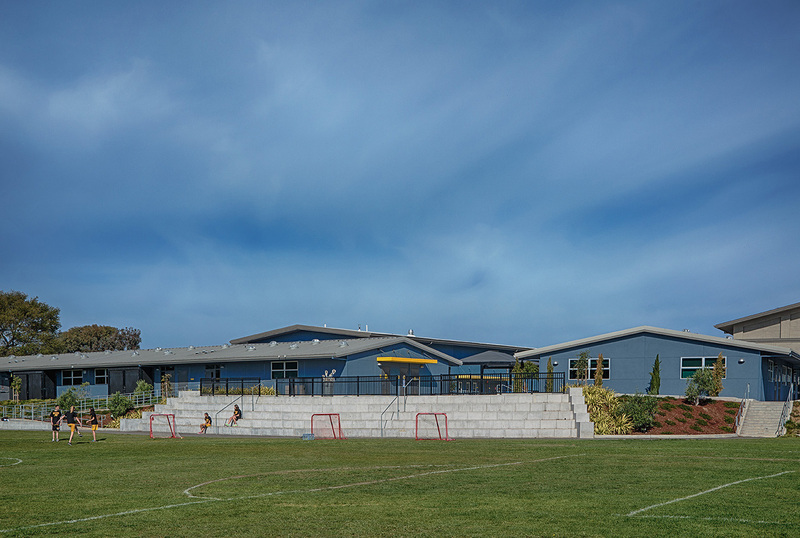 Vibrant colors, including the Ralston Rams “yellow,” reinvigorated the campus exterior, while warm, low maintenance materials enhanced the interior aesthetic as well. 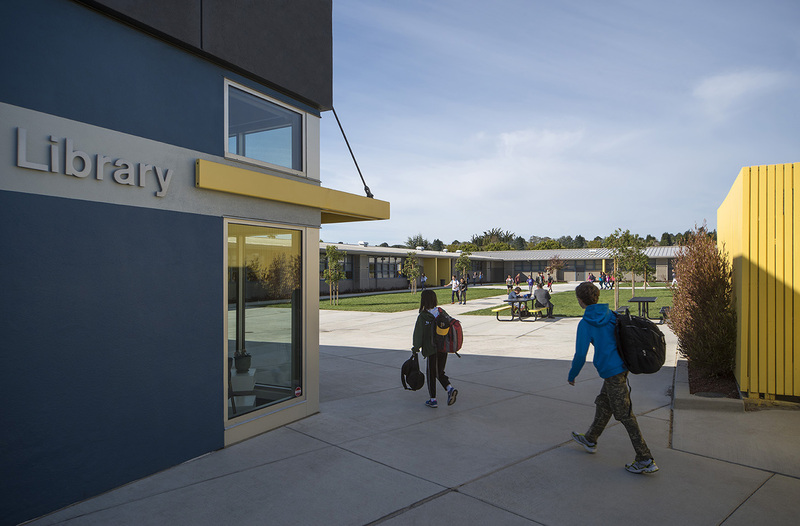 The importance of sustainability was recognized early in the district’s planning and design process, including leveraging high performance incentive (HPI) grant funding. A district-wide Integrated Design Workshop, focused on sustainable design strategies, was held for stakeholders to educate and engage them in the discussion and prioritizing. 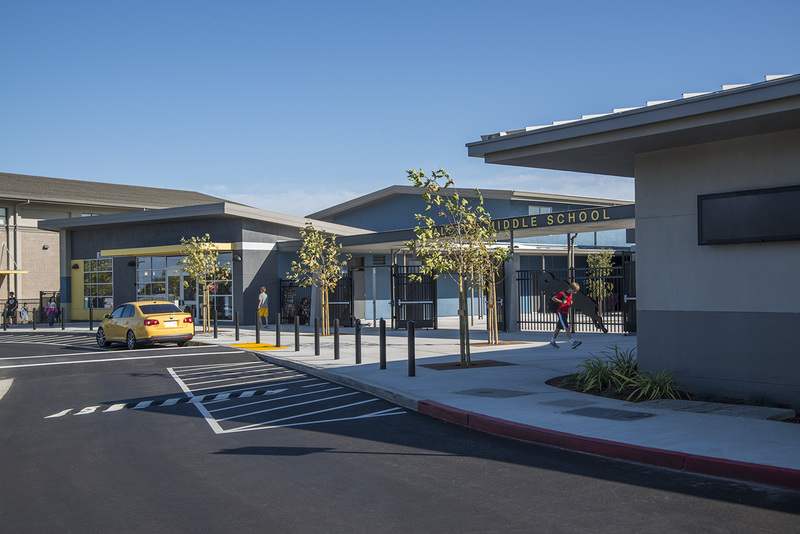 Today, Ralston Middle School has a new face, a new image and twenty-first century learning environments that are appropriate for the heart of the Silicon Valley.